Are you itching for your next home renovation? Perhaps you’re looking to tackle it all on your own? With a subscription to Build It magazine, you’ll receive all of the practical advice and inspiration you need to undertake your very own self-build project successfully. From major home renovation projects to loft conversions, Build It provides you with endless ideas and design inspiration to help you plan out your next project. Plus, don’t miss out on practical advice from industry experts on topics such as budget and costs to planning and managing your home renovations. So, if you have a ‘doers’ attitude and are ready to embark on your very own home building journey, then subscribe to Build It digital magazine today - your ultimate home renovation, DIY and custom home building monthly guide! Get your next home building project underway with the ultimate custom home building magazine, Build It. 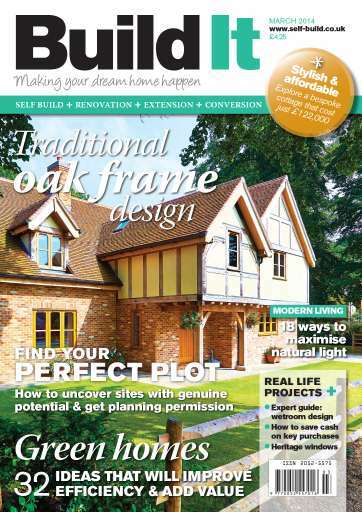 As Britain’s most practical and longest running self-build magazine, you’ll find everything you need to know about successfully taking on your very own home building project. From renovation and DIY to a range of extensions and upgrades, Build It magazine is packed full of brilliant design ideas, inspiration and expert advice to help you get started on your next project. Every issue offers you the opportunity to learn from industry experts on the more complicated subjects as well, such as budget and costs or planning and managing your home renovation project. With a monthly digital subscription, you’ll never miss out on the latest features that cover building systems, construction materials you need to know about, major project guides and much more! Exclusive features including key building systems, the latest construction materials, major project guides and more!